Ruminations on the Indian American photojournalist. 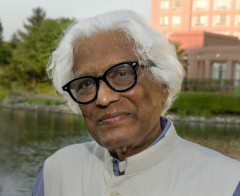 CHANDIGARH: I had the privilege of knowing Rajan Devadas, the renowned Indian American photojournalist and the recipient of the Padma Shri, who passed away in Rockville, Maryland. I vividly remember our last meeting at his residence in Rockville, in 2009. That time I was working in Washington, DC, and went to visit him along with a colleague. Right from the main door of his house one could feel his simple, sober and aesthetic nature. Devadas was an unassuming person and a perfect host. He spoke fondly about his early years in India and good old Indian political leaders of whom our age has only read in books or briefly known. During our discussion, when we talked about Mahatma Gandhi, he became reverent. He touched both his ears in obeisance before mentioning that how privileged he feels that he had had an opportunity to talk to and touch Mahatma Gandhi during one of his public gatherings. Devadas proudly mentioned that he sat right next to the Mahatma. He gave us a tour of his house. It was packed with side tables, authentic Indian showpieces, and artistic Buddha sculptures. During the tour, he introduced us to his wife, Kimiko, who is of Japanese origin. She pleasantly did namaste to us and retired into her room. Finally, we followed him to his work room. It had photos all over. Even at his ripe age, he was very passionate about his photography assignments. He told us that his latest assignment is to create a coffee table book for the Indian Embassy in Washington, DC. It was amazing to see how Devadas remembered details of his photos, though clicked several decades ago. I got stuck by one of them and asked him from which angle he clicked it. Devadas had a good look at the photo and gave his viewpoint, though he seemed not fully convinced with his own explanation. When we bid adieu to Devadas, he stood there at his door waving at us until we drove off. Some 20 minutes later I got a call from him. He was glad that we spent so much time with him, and said that he had recalled the exact angle from which he clicked the picture about which I had enquired. His work was inspiring, and as a human being, Devadas was fascinating. Copyright © 2019 The American Bazaar.